Located in the south-east of Sicily, the territory of Vittoria is a plateau that extends from the hill to the sea. Near the prosperous province of Ragusa, Vittoria campaign has a vocation rooted in a large agricultural production of vegetables and fruits and vegetables. The area has one of the largest fruit and vegetable markets in the south but is also known for the production of one of the most exclusive Italian wines (DOCG): Vittoria’s Cerasuolo, a wine able to release the fragrant smells of Sicily. Although the cultivation of the grape was introduced by the Phoenicians, it is with the arrival of the Greeks (VIII century. BCE) we see a real vinifera development of agriculture and the introduction of oil production and the cultivation of grain. 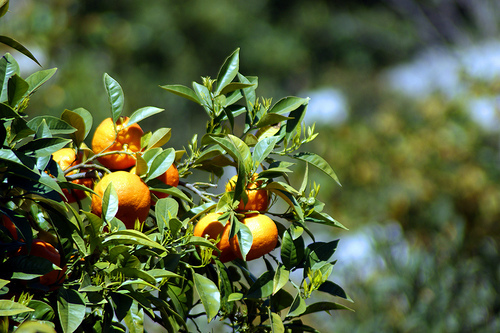 Only in 1200 are introduced citrus fruits that soon become the very symbol of Sicily. With Italian economic boom and the advent of plastic agriculture experienced the spread of greenhouse vegetables were better protected and absorb more light which was held inside the same plastic, the local economy was overwhelmed by an unexpected wealth which made her one of the most intensive agricultural production in Italy. Today, our goal is to promote sustainable agriculture that disrupts the processes of exploitation and poisoning the soil and restore the equilibrium that only the choice of the organic and integrated organic production can provide.